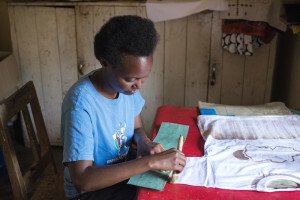 Tapping into the growing global interest in African design, entrepreneur Gloria Kamanzi Uwizera is building an award-winning company, Glo Creations, that is celebrating traditional batik printing techniques but with a contemporary twist. 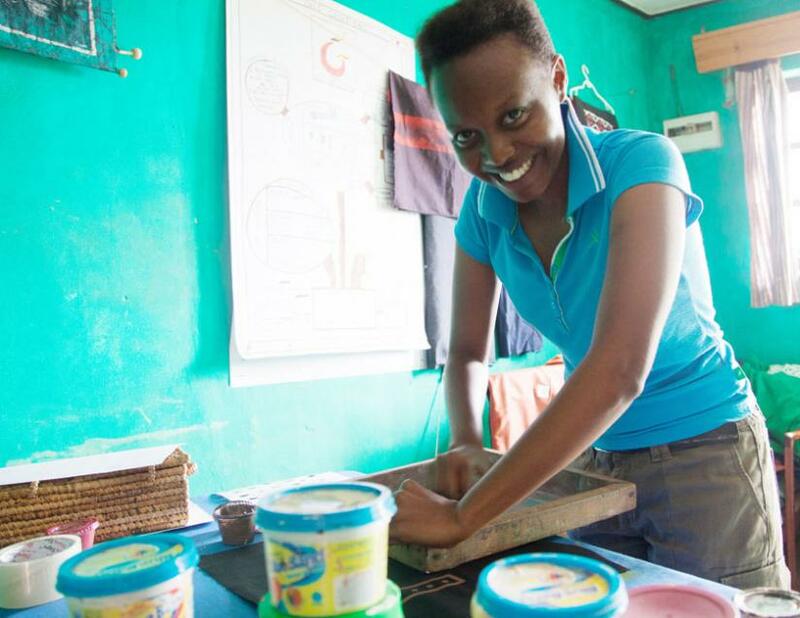 LoA met with the inspirational founder of Glo Creations, Gloria Kamanzi Uwizera, to find out more about where the love of design and entrepreneurship came from. 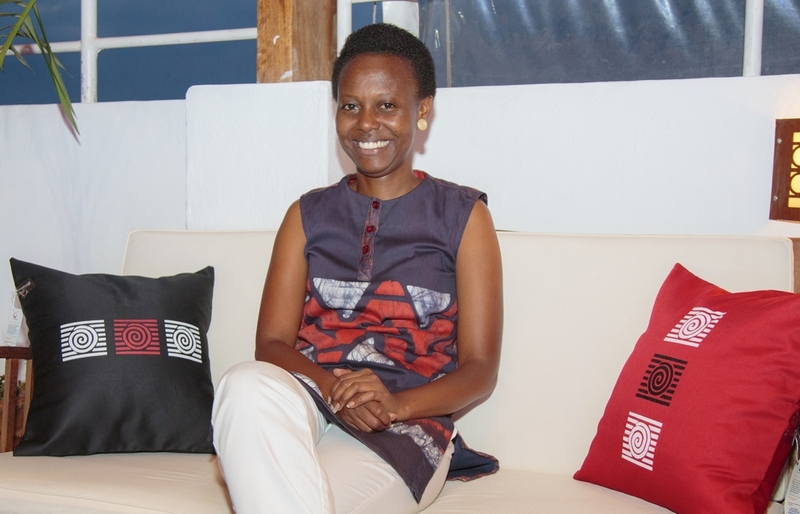 Glo Creations is a Rwandan based textile design and printing company, specializing in creating African inspired quality patterns for garments and home interiors. Our work is to design, print on textile with hand techniques, then produce beautiful textile products. The major portion of the Glo Creations product range is textile-based and includes printed fabrics, ready-to-wear garments, home interior fabrics and products. "Our work is to design, print on textile with hand techniques, then produce beautiful textile products." My inspiration for starting my business was drawn from my grandfather and mother. In fact, as a small child, I was very passionate about drawing and coloring images, and in fact, kept on developing my drawing skills until secondary school. However, I had no idea where my drawing talent would eventually lead me. While living in Senegal where I was pursuing my studies, in 2004 my aunt introduced me to a textile printing technique known as batik, but at the time I told her I wasn’t interested. A few months later, I met a friend dressed in a batik t-shirt, and his printed t-shirt captured my attention so strongly - it was then that I remembered my aunt had introduced me to the prospect of learning the batik technique. I called her to connect me to the batik artist who I eventually got to meet, and as a result, I learned the new skill of batik printing. I realized that my drawing skill was very much needed in the batik printing environment, so it was then that I decided to do it as a hobby. I initially started printing on t-shirts and would sell them at Church on Sunday. A few months later, as my small business was growing, I decided to make my business a profession and started thinking of returning to Rwanda. In 2005, I returned home with a vision of creating job opportunities, not simply seeking a job. At first, my family wasn’t very convinced about my new business idea except my Dad who was very supportive. Later on my family members and a few friends became supportive as well. In the early days, I was working from my home kitchen, a tiny space. For a period of three to nine months, I faced the challenge of being accepted as a young female entrepreneur and convincing the local market with a new business idea. In 2008, I decided to have my business registered and move on with my entrepreneurial journey despite all the challenges faced. "Our products reflect quality, simplicity in designs, originality and the hand-made printing process." Our products reflect quality, simplicity in designs, originality and the hand made printing process. As there are more printed fabrics coming from the Asian continent, there are few African textile designers performing on the continent - as a result, we are determined to stand out in the market by offering unique designs with innovative printing techniques. I started working alone at the beginning of my business, then hired one employee one year later, had him trained from scratch, but today we have grown to five permanent employees and seven part time workers. As a company, we look to grow our staff this year especially in the production area. As the demand for printed fabrics and textile products is growing rapidly, we are looking to invest in the training of staff in order to meet the quality standards and production consistency needed. "As there are more printed fabrics coming in from Asia, there are few African textile designers performing on the continent - as a result, we are determined to stand out in the market by offering unique designs with innovative printing techniques." I grew up from a business background - my grand father was a very well-known business man in his community and he passed on the business to my mother - I drew from that family experience. In my childhood, I assisted my mother in her business by being a cashier in her restaurant. I found myself involved in business from the age of 11 years - growing up my dream was to become a business person like my mother and my grand father, but I had no idea of the type of business I would go into. While in Senegal, I fell in love with the textile printing technique that I subsequently became so passionate about, and with my drawing talent I realized it was fitting in perfectly with this newly acquired printing skill. Despite all the ups and downs on my journey, my passion for textile printing has been one of the things that has continually motivated me. Along my journey, I had the privilege and opportunity of meeting international textile designers and learning from their experiences. Today, I believe strongly that Glo Creations will reach its potential even further in the international marketplace. My entrepreneurial journey to date has been challenging, but I firmly believe that great things will be achieved. As a company, we look at offering more ranges of printed fabrics and textile products to the international market. Our vision is to be the leading textile design expert in Rwanda. In the next few years, we are looking to set up a new modern production facility for larger production. "As the demand of printed fabrics and textile products is growing rapidly, we are looking to invest in the training of staff in order to meet the quality standards and production consistency needed." I am satisfied when I receive positive comments from clients on the impact our products are having in their lives, and seeing a positive social change in the lives of my employees. Never underestimate your gift or talent - develop it and make use of it to the fullest.